Just a little humor to brighten the day. 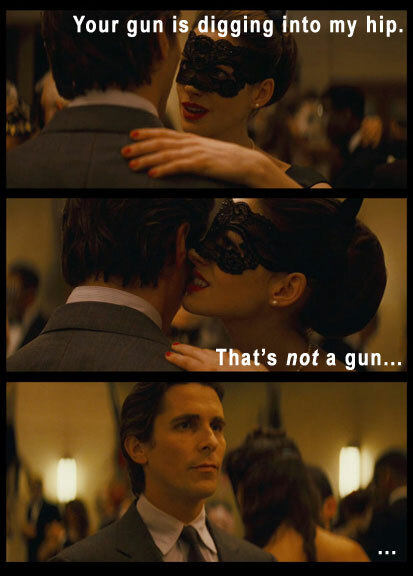 It's the Dark Knight Rises with a dash of Ace Ventura. Catwoman (Selina Kyle) confuses Batman (Bruce Wayne) with her... feminine wiles? Borderlands 2 Countdown: One Month to Release!